It wasn't all that long ago that it was near to impossible to find products safe enough to use on your little curly's hair. 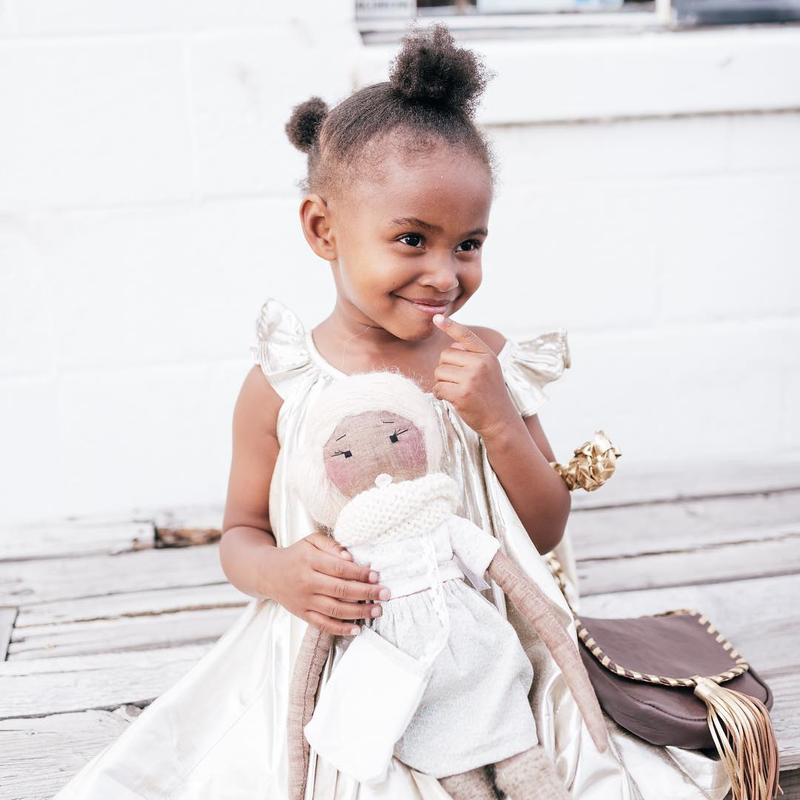 Many parents struggled with finding products they felt comfortable using on their kid's sensitive curls and there was very little information out there to guide them. Due to limited products or the difficulty in finding them many parents resorted to straightening their child's wild curls just to make them more manageable. Nowadays, there's a much wider variety of products available and tons of information to help guide parents in the right direction when it comes to managing their kid's curls. The following are a few of our favorites. This product line offers a shampoo, conditioner and and leave in conditioner. 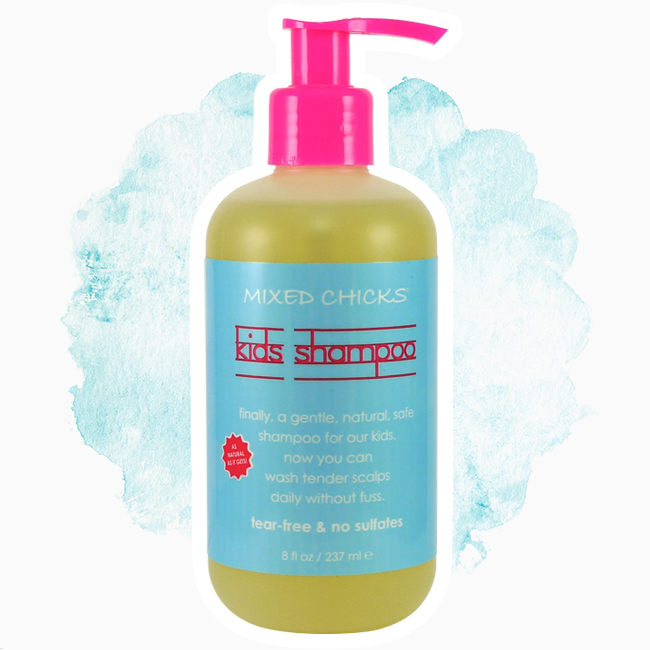 The products are all natural and have a tear free formula to make sure you'll both successfully get through wash day. Start with the shampoo, which will leave curls clarified and extra clean and follow with the moisturizing conditioner. For extra conditioning before styling, slather on the colorless, paraben and fragrance free leave in conditioner. One of our most beloved product lines also has products formulated just for kids. This line features products created only with organic and all natural ingredients. Start with the SheaMoisture Mango & Carrot Kids Extra-Nourishing Shampoo, which provides necessary cleansing without breaking delicate curls. Follow it with the SheaMoisture Mango & Carrot Kids Extra-Nourishing Conditioner, which will help soften curls which makes detangling that much easier. If your little needs some extra detangling power, spray in the SheaMoisture Coconut and Hibiscus Kids Extra-Moisturizing Detangler. This product can be used on wet or dry curls and is perfect for those in between days to bring curls back to life. If you have a kid who's curls are prone to tangles, this product line is for you. Start by washing with the CD4 Kids Shampoo, which features aloe vera juice to help manage tangles. 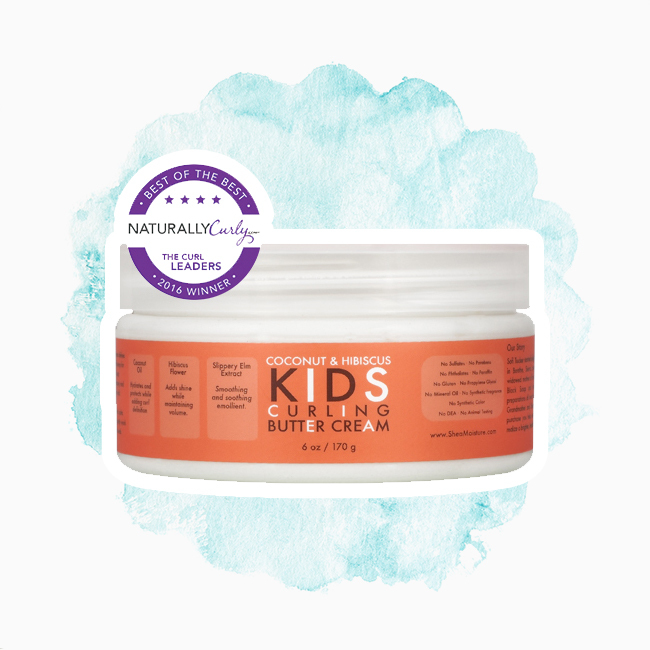 Follow with the creamy and super moisturizing CD4 Kids Conditioner, which has almond oil to increase softness and manageability. Finish out this regime with CD4 Kids Detangler, which moisturizes, conditions and detangles all at once. What products do you use and recommend for your little ones? Let us know in the comments and check out even more great products here. Is It Safe To Use Curly Hair Products While Pregnant? Is a Customized Curly Hair Shampoo For You? How Can You Best Moisturize Your Curls?